Getting your credit score where you want it is simple when you know what mistakes to avoid. 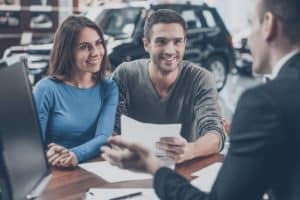 In this guide, we at Dallas Dodge Chrysler Jeep Ram (DCJR) will give you a detailed overview of the top five credit mistakes made by credit users across the country. Shoppers near Dallas, Garland, and Arlington can read ahead to learn more about what not to do when it comes to credit! Making your payments on time is crucial to the wellbeing of your credit score. While one late payment won’t derail your good credit, making a habit of late payments will. A few great ways to keep track of your payments include making a payment calendar and setting reminders on your cellphone or other devices. One of the many factors that your credit score is based on is your credit utilization ratio. If you have too many credit cards open at once but aren’t taking advantage of those lines of credit, it can affect your credit score. Only open as many lines of credit as you’re actually going to use, and make sure to use them. This is called credit utilization, and it makes up for a whopping 30 percent of your credit score! On the contrary to the previous point, you will want to have a certain amount of credit lines open. Having lines of credit open helps you build up credit history, with which you’ll be able to show lenders that you’re responsible with money because you have experience with it. However, this can backfire if you have a lot of lines of credit open but aren’t making payments on time. It’s recommended by most financial experts that you not use more than 30 percent of your available credit at a time. Maxing out credit cards should only be done when you have the money to pay it off immediately, so as to not increase your minimum payment and risk running into late payment consequences. The best way to stay on top of your credit score is to keep an eye on it. You should take advantage of one hard inquiry per year in order to go through your official credit report and locate any potential mistakes. Throughout the year, you should also be using free credit score tools, like Credit Karma, to keep track of it without affecting it. Still Have Questions About Credit? 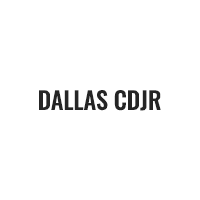 We at Dallas DCJR hope that this guide to the top five credit mistakes people make gave you all the information you were looking for. 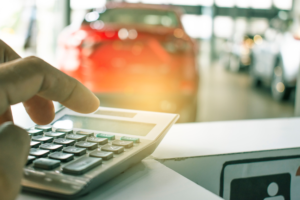 If you still have questions about your credit score and how it will affect your financing options for your next car, don’t hesitate to give us a call at our on-site finance center. Shoppers in the areas of Dallas, Garland, and Arlington can also stop by the dealership any time during business hours to meet with our friendly finance team face to face!